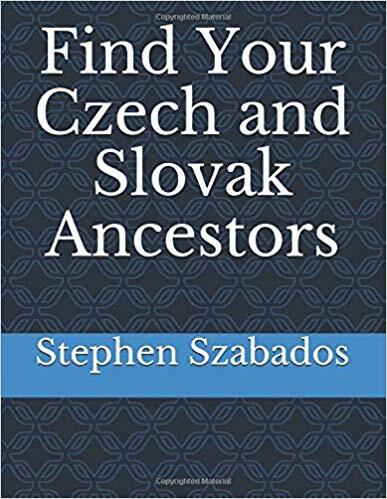 Polish Genealogy: Four Steps to Success by Stephen Szabados: Offers a logical process to approach Polish genealogical research. This book is designed to give the researcher the tools needed to research their Polish ancestors and find possible answers to the origins of their Polish heritage. The book also lists many sources of information that will add to their family history; identify where their ancestors were born and where to find their Polish records. A Modern Guide to Polish Genealogy; by Cecile (Ceil) Wendt Jensen: The author offers a plan for researching at least one hundred years of family records, and is a compilation of the author’s techniques. Common research questions are answered and suggestions are offered to help novice and advanced researchers find ancestors in both North America and Poland. An indispensable reference book that covers every possible topic on Polish genealogy: history, gazetteers, maps, vocabulary lists, Polish surnames, archives. POLISH ROOTS, 2ND ED. by Rosemary A. Chorzempa: This book examines Polish-American resources such as family papers and standard records employed in genealogical research. Also, lists libraries and archives where information can be found. In Their Words by Jonathan D. Shea and William F. Hoffman: This is a three book series covering the three of the languages used to created Polish records (Polish, Latin, and Russian). The records reviewed are not just birth, marriage and death records but also passports, obituaries, population registers, and military service records. Also includes information on the different alphabets, spelling, pronunciation, and standard handwriting for the three languages. A Translation Guide to 19th Century Polish-Language Civil-Registration Documents by Judith R. Frazin: The 472-page book includes a step-by-step guide on how to divide each narrative document into a series of “mini-documents”; seven sample documents with important words and the information which follows these words highlighted; and fifteen topical vocabulary lists. Now sit back, read, and enjoy your Polish Heritage.